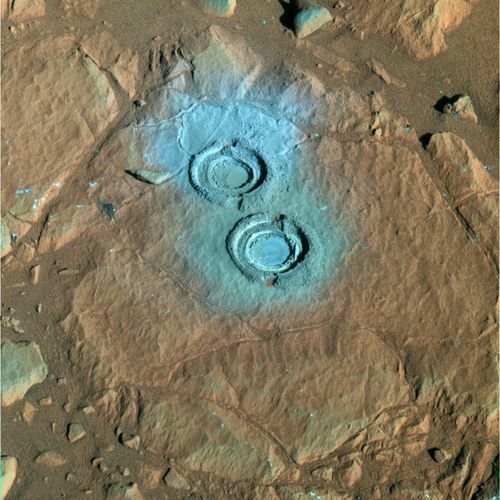 Data from Spirit's alpha particle X-ray spectrometer after the rover dug into Clovis with its rock abrasion tool. 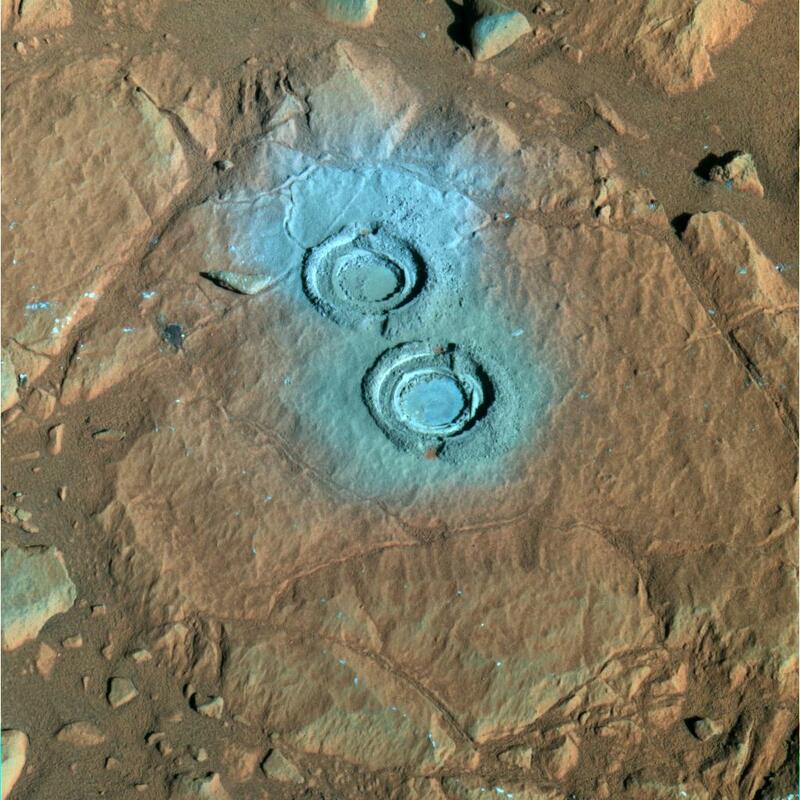 After the rover easily ground a hole into Clovis, it became clear that this rock is much softer than the basalt lava rocks studied previously at Gusev. This graph shows that the interior of the rock dubbed "Clovis" contains higher concentrations of sulfur, bromine and chlorine than basaltic, or volcanic, rocks studied so far at Gusev Crater. 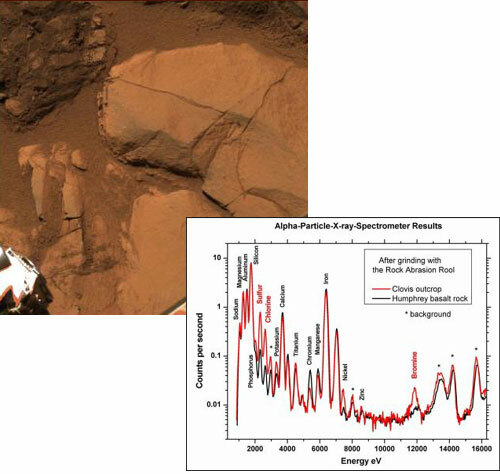 The data were taken by the Mars Exploration Rover Spirit's alpha particle X-ray spectrometer after the rover dug into Clovis with its rock abrasion tool. The findings might indicate that this rock was chemically altered, and that fluids once flowed through the rock depositing these elements. Sample return technologies enable the collection and return of rock, soil, and atmospheric samples back to Earth for further laboratory analysis. While the Mars Exploration Rovers did not specifically test any technologies for future sample returns, the mineral analysis of rocks and soils has prepared the way for scientists to know more about what kind of samples they would like to collect on future missions.